I’d like to welcome my dear friend Linds to the review team here at Literary Obsession! She’ll be reviewing a mix of different genres as she has time between work and school. Welcome, Linds! 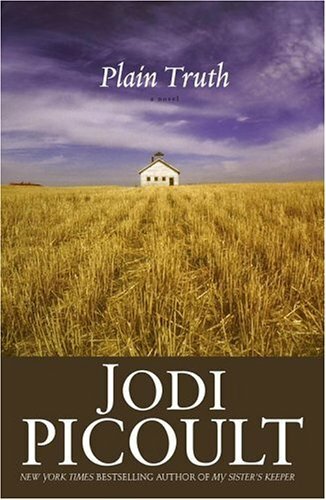 Synopsis (From Goodreads): The small town of Paradise, Pennsylvania, is a jewel in Lancaster County — known for its picture-postcard landscapes and bucolic lifestyle. But that peace is shattered by the discovery of a dead infant in the barn of an Amish farmer. A police investigation quickly leads to two startling disclosures: the newborn’s mother is an unmarried Amish woman, eighteen-year-old Katie Fisher. And the infant did not die of natural causes. Although Katie denies the medical proof that she gave birth to the child, circumstantial evidence leads to her arrest for the murder of her baby. Lindsay’s Thoughts: I really have to give this book a love/hate review. While I remained interested in the outcome of the story, I found some of the research in the legal jargon and the culture of the Amish to be lacking in parts. Being that I currently work in the legal field I found Ellie Hathaway’s character and really the prosecuting attorney’s character very unrealistic. Both characters were more stereotypical than real world. I did like how Ms. Picoult kept you changing your feelings for Katie. Through the tangled web that Katie weaves the reader gets a chance to be a “jury member” and decide whether or not Katie is guilty. I know I definitely went back and forth and I guess that ultimately that is what kept me turning the page, to see what the truth was. Still parts of the story seemed a bit far fetched and out of place. All in all not one of Ms. Picoult’s best books ever but still a page turner. Still if I had my way, there are a few ends left untied that should I ever meet Ms. Picoult on the street I would have to ask her how they tie up.